In clays past, duels were settled with sword and pistol Now such antiquated methods have been replaced by head-to-head challenges in the meanest, leanest supercars a person could wish to lay their driving gloves on. The Race is a straight charge into a world consisting of dead-end alleys, jumps, bumps and raised walkways. 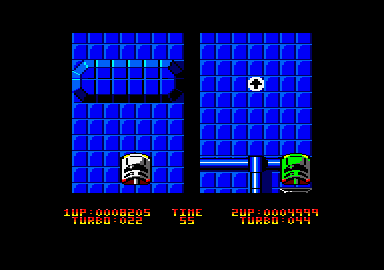 The Race is at its best in two-player mode. On each side of the split screen sits a car, engine ticking over. As the countdown hits zero, then it's time to hit the turbo. The first race is into 'Future World', a Xenon-like place. The best route is shown by marker disks, and you'd better follow it or there'll be tears. The track is a maze of jumps and blind canyons of purple steel. Take the wrong route and a wall soon appears, a somewhat startling discovery at 200 mph! There aren't to many sharp corners on the course, but some pretty nifty steering is required to avoid crash after crash into the small metal mountains, The loss of life is unimportant (! ), it's the loss of time that's a killer. 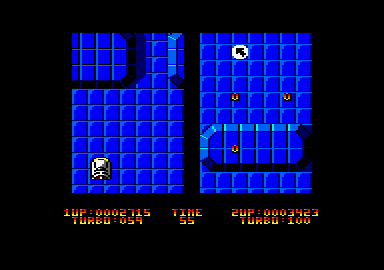 Each run must be completed within a set time limit, and as the levels progress they get more than a little tight. Each race has a different theme. Level One is 'Future World', Level Two is 'Ancient World1, which introduces dragons to the script, fire and all! The third world is the domain of the weird, and what a curious place it really is. Huge clown heads attack with a deadly "HA! "( boxing gloves spring out of the walls crushing cars, while a manic Pelc Man stalks every corridor. 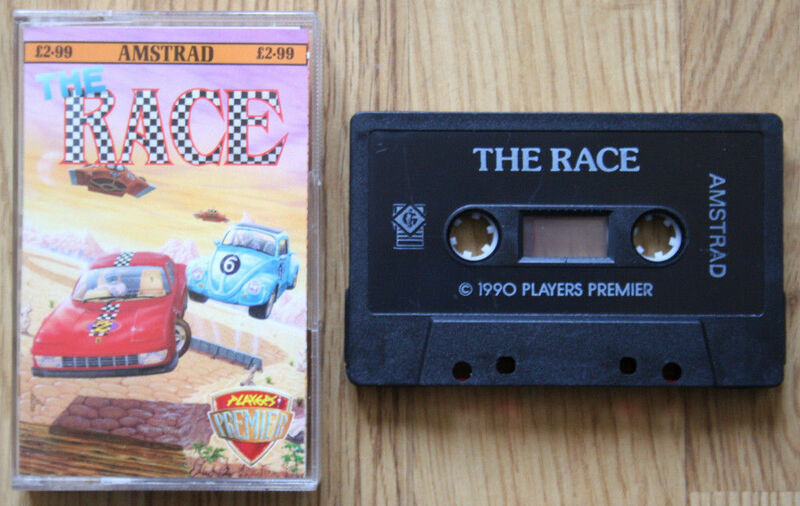 The Race is little more than a vertically-scrolling car game, albeit one that's particularly good in two-player mode. What's so good about it is the variety of backgrounds. The first is dull, even tedious at times, the second a strenuous test of reflex speed while, three displays a dangerous lunacy that's truly wild. Who knows what the later levels hold? The sprites are strong and well-defined, which makes their relative smallness forgivable. Imaginative design also helps lift the game above the level of the standard budget car romps, even though the sound effects do little to help. 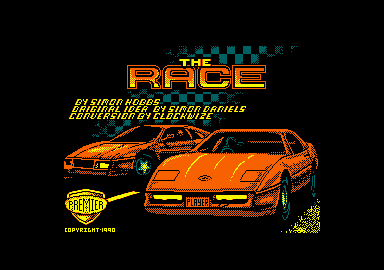 The Race, quite simply, is a regular budget concept that's hit overdrive. 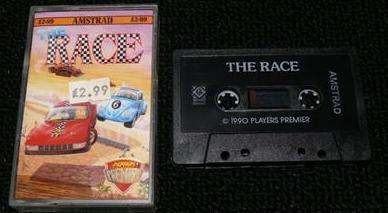 » Topic: Cheats, pokes ou solution pour "THE RACE"